From the medieval port that gave birth to a Mediterranean empire to the turbulent and prosperous industrial city that gave rise to Modernism, heroic and infamous episodes have occurred: sieges and discoveries, quixotic visits and universal comedy characters, saints and villains, writers and leaders, architects and navigators. So it was before, from its Roman foundation, and so has remained in our era. case to The Shadow of the Wind. 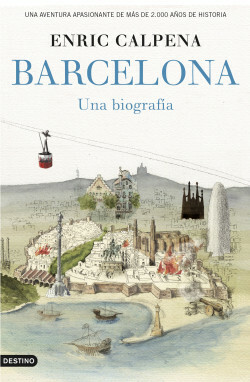 The epic, entertaining and educational tale of the history of Barcelona. Barcelona. A Biography is an essential book for lovers of cities and its history. The book that this seductive, ever-changing city deserves. A book along similar lines to London by Peter Ackroyd; New York and Paris by Edward Rutherfurd and Jerusalem by Simon Montefiore. A globally successful genre.